Although the prototype classroom presented here is designed for use primarily by elementary and middle school students, the broader audience for my prototype is school teachers, staff, and administrations. The prototype serves as a template of what could be done if a natural area is available on the school grounds. This outdoor classroom prototype provides guidelines for developing and using this space in an efficient and useful way. Parents of young children could use this resource as supporting evidence to convince local school boards/administration to build an outdoor classroom. This outdoor classroom will be designed for use by suburban and rural school districts. The property in which the school is located must have enough open or forested land to develop an outdoor classroom, at least 500 square feet for the classroom itself. I recommend a nature trail that is one-quarter mile long. The main objective is to use this outdoor classroom with grades 4th – 8th. Of course, 4th graders will use this outdoor classroom for different purposes than 8th graders. 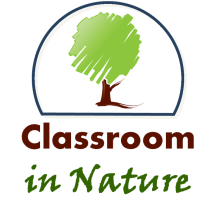 For example, a teacher may bring a 4th grade class to learn about how trees grow or about different animals found in nature. On the other hand, an 8th grade teacher may bring literature students to this outdoor classroom for group reading of a particular novel, discussing the elements of such a story, or for inspiration in writing. Also, this classroom will most likely be used by teachers who are creative and willing to adapt lesson plans to make use of outdoor classrooms. These teachers will include elementary school teachers (4th and 5th), as well as 6th – 8th grade teachers, most likely teaching science, reading, and special education students. This will be useful for teachers who are willing to adapt their lesson plans, regardless of the topic. Clearly some topics such as science and creative writing are easier to adapt to an outdoor setting than others. The audience will also include school personnel and staff members that have a break period who would like to go outside to experience a natural setting. The initial design of the outdoor classroom would seat about 18 to 20 older students very comfortably, although the space may handle around 25 younger students. There is also ample space for sitting on the grass around and within the circle of the classroom, providing some flexibility to accommodate larger classes. This design can be easily expanded if there is enough outdoor space on the property by making the half-circles larger. This would allow for more seating space for students as well as more lounging space and areas if this outdoor area is used for a ‘free-time’ activity.